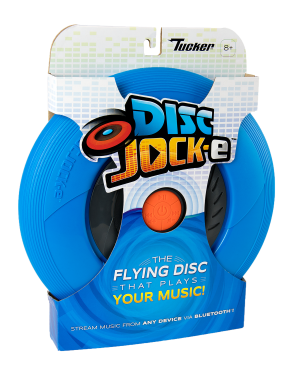 Hamilton, NJ – (May 3, 2017) – Tucker Toys lets you take the tunes with you with its new Disc Jock-e, a flying disc with Bluetooth technology. 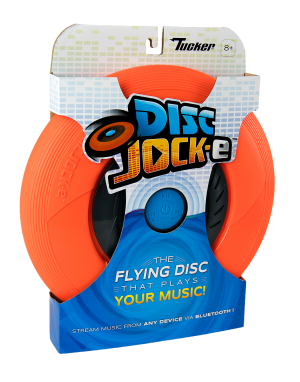 Soaring through the airwaves, the Disc Jock-e (MSRP $24.99) is great for all ages as a durable, water-resistant throwing disc that syncs to any playlist from a phone, tablet or computer. It comes in a choice of vibrant blue or orange colors, so that even if you’re just relaxing, you’ll never miss a beat with the coolest outdoor speaker ever! 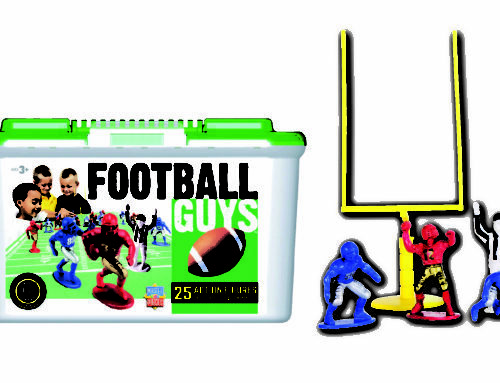 The new Disc Jock-e joins the full line of Tucker Toys, which now includes the Kite-A-Pult, Phlat Ball®, E-Z Grip® (Play Ball, Junior, Football and Soccer Ball), Crush-It!® Bat, Trick Shot Sports, Zoingo Boingo® Pogo, ZB Freestyle® Board and more. 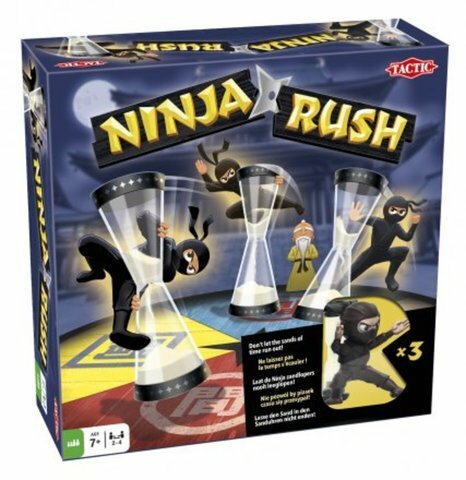 About Tucker Toys: Tucker Toys, based in Hamilton, NJ, brings to market a line of toys with far wider ranges of use, spanning all ages and transforming almost all environments into playable ones. 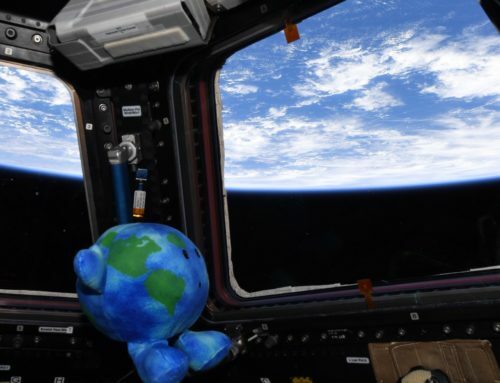 Tucker Toys evolved from marketing only through a few international distributors to over 50 countries currently with a strong public outreach, engaging kids and families directly. 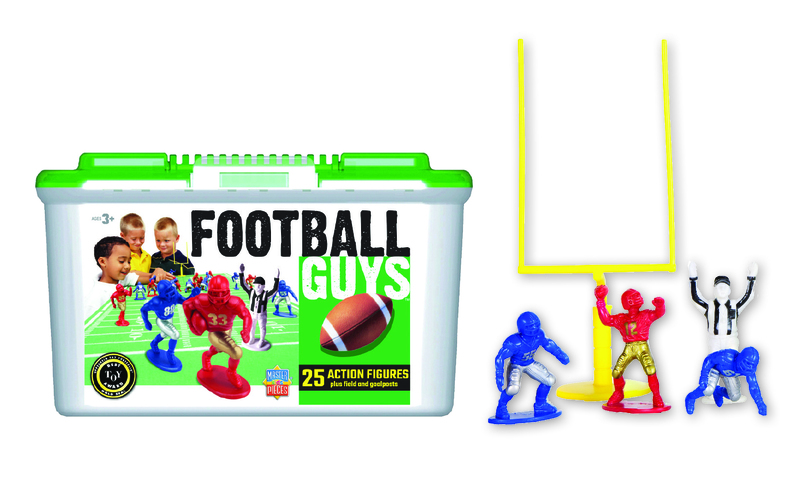 Every toy created by Tucker has received awards from various prestigious organizations including Mom’s Choice, Parents’ Choice, The National Parenting Center, The Toy Insider and veteran toy marketer Einstein, da Vinci and Goldberg. 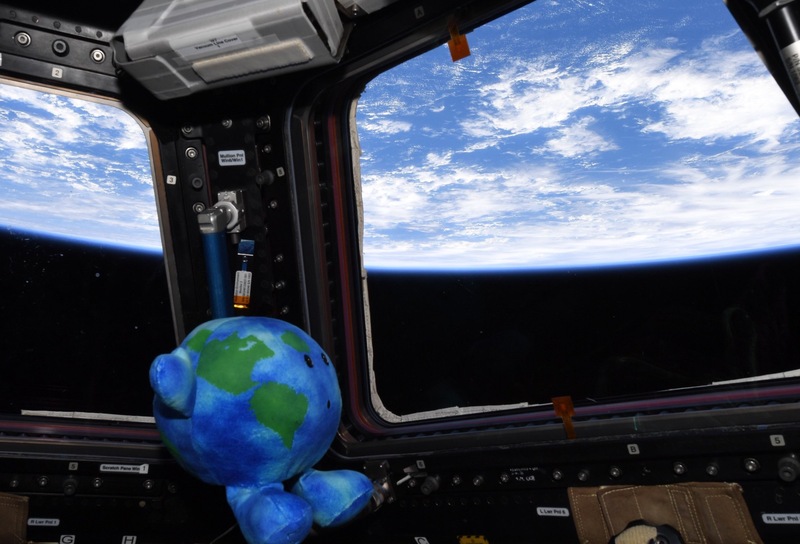 Most recently, two of Tucker’s toys received special needs approval by AblePlay, a division of Lekotek, proving the versatility of Tucker’s toy innovation that brings value to parents and benefits to children across the spectrum. 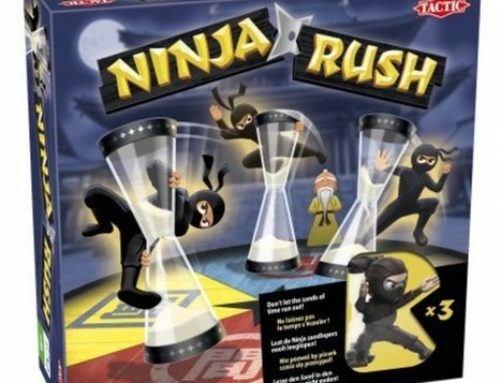 Products from Tucker Toys include the internationally award-winning Phlat Ball®, Crush-It!™ Bat, Trick Shot Sports, Zoingo Boingo™ Pogo, and the ZB Freestyle™ Board, a high-bouncing action sports toy ideal for skateboarding and parkour enthusiasts. More information is available at TuckerToys.com and to interact with the company, follow us on our social media outlets: Facebook, Twitter, Pinterest, Instagram and YouTube.